I’ve been a member of Audible.com since 2002, and over that time I’ve watched as Audible’s library of classic science fiction has grown. It’s been very impressive, and yet, there are many great science fiction books and authors that haven’t made it into their catalog. I’m inspired to write this because of reading “Great Unsung Science Fiction Authors That Everyone Should Read” by Charlie Jane Anders at io9.com. Our Classics of Science Fiction Book Club has been discussing this article, thinking up our own list of SF authors who have gone missing in action, or who we think young people should track down and try. I thought I’d look up on Audible to see if these authors are remembered, and list the number of audio books available. You can click on the link to read about the author and their books at Wikipedia. I only counted whole books in print at Audible, not single short stories. These are authors we think deserve more attention. Charlie Jane Anders was pretty good at picking writers that are mostly not in print at Audible.com. That wasn’t her intention, but that’s how I used her list. The book club picked a number of authors that Audible has done a bang-up job of remembering, like Edmond Hamilton. Some of the authors we discussed at our book club. I haven’t listed them all, because some were very obscure. We had a few overlaps with Anders, but for the most part, our fond memories were for other writers. Overall, Audible has lots of major science fiction novels it could still publish. Especially, Alfred Bester or Samuel R. Delany, or even Michael Bishop? However, I still give Audible.com an A+ for preserving classic science fiction. Hell, they’ve published eight E. C. Tubb novels, and thirty A. Bertram Chandler books. Some of these books haven’t seen the light of day since their original ACE Double publication. The book club consists mainly of older science fiction fans from around the world that have a nostalgia for the science fiction they grew up reading. We’re worried that some of our favorite books and writers might be forgotten when we’re no longer here to remember. These aren’t necessarily our favorite writers, but the ones our faulty memories retrieved when we tried to remembered books we had mostly forgotten, but still remembered fondly. I have to say that Audible.com is a great resource for old science fiction fans. If you put in the subject line “suggested link post” it will get handled faster…and you’re welcome to mention that Richard Derus, who owes him an interview/review and hasn’t forgotten, suggested it. SF Signal routinely links to my posts when I write about science fiction, so we’ll see if it shows up tomorrow. But thanks for the advice, it’s a nice compliment. Great post Jim. I’m glad I brought it up. John Wyndham has five books at audible. Guess he isn’t as unsung as I though. That’s the great thing about Audible, they do remember. I think there must be a bunch of old farts like me that wanted to hear the SF books they fondly remember reading as a kid. I’m finding that even someone as well known as Poul Anderson is poorly represented on library shelves now. Wish I could be a child again just long enough to read some of the books in these series that I missed growing up! I wonder if children still read any of these at all. Lewis Padgett’s Robots Have No Tails sure would be fun to hear. 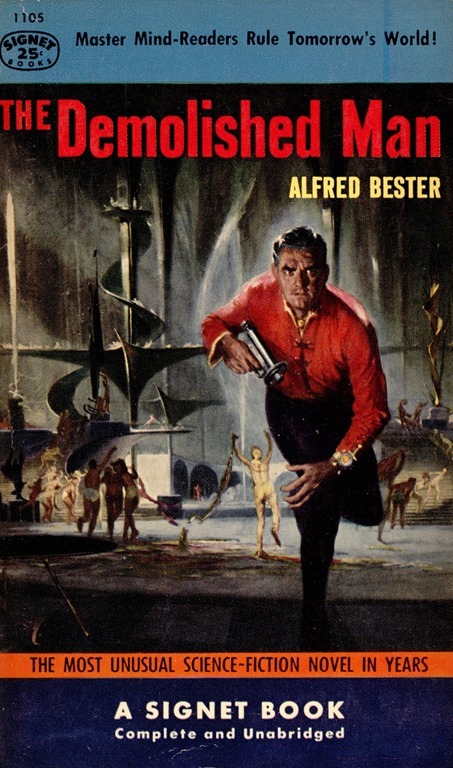 I recently listened to The Long Tomorrow by Leigh Brackett, and it was excellent. I’d like to hear Zenna Henderson’s The People books. Yeah, I forgot about Wilson Tucker. I read The Year of the Quiet Sun a couple years back because it wasn’t on audio. I was also a fan of the Danny Dunn books as a kid. There are so many forgotten authors to remember. Harry Harrison has only been gone for a couple of years but I’m not sure if younger readers know him much. Same for Fred Pohl. Two of Harrison’s funniest books are the parody/pastiches “Bill, the Galactic Hero” and “Star Smashers of the Galaxy Rangers”. To really appreciate them though, you have to know “Starship Troopers”, “Foundation” and E. E. Smith’s Lensman books. At the book club we just finished Pohl’s Man Plus last month. And we have quite a few Harrison fans. We often talk of Bill, the Galactic Hero and the Deathworld books. I love the fact that you point out Michael Bishop 😉 YAY! I did that thinking of you Joachim. 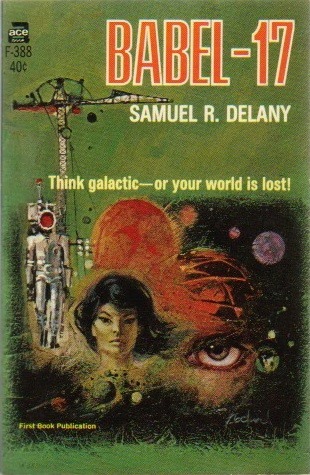 LibriVox has a nice selection of older Sci Fi audiobooks, including “Captives of the Flame” by Samuel Delany.